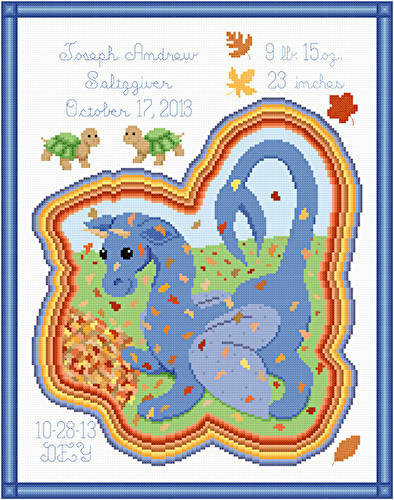 Autumn Dragon Birth Announcement cross stitch pattern... This dragon is playing in multicolored fallen autumn leaves. Spaces are given for birth information. Enhanced by turtles. Bright autumn leaves provide the finishing touch. Colors may be changed. Whole and back stitches.